Two new theater reviews for your consideration. Both are excellent examples of why Chicago is such a great theater town. Homecoming 1972 only runs through this weekend but you can see Mine until August 11. Chicago Dramatists is a fine, playwright-oriented theater company with a comfy small space at 1105 W Chicago Ave. Homecoming 1972 is a riveting play about the after-effects of the Vietnam war and its impact on those who served and those who stayed at home. 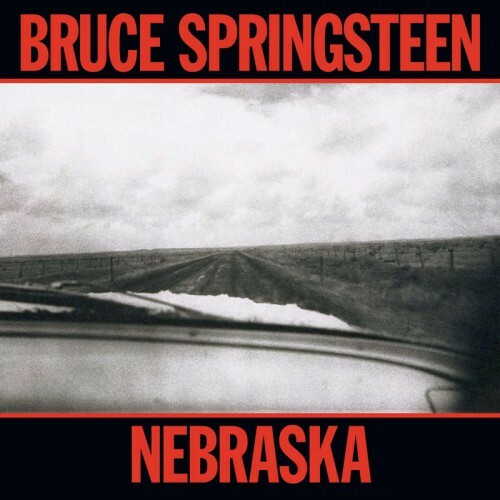 As I note in my Gapers Block review, about halfway into the play I realized that it was based on the Bruce Springsteen song, “Highway Patrolman,” from the acoustic 1982 album, Nebraska. Frank, Joe and Maria? Those are the characters in the story Springsteen tells in that amazing song. Here are the lyrics, a summary of the play. You’re probably thinking, “She’s obsessing again. Nancy thinks everything in life links back to Bruce Springsteen.” Well, I do think that. But in fact, the playwright Robert Koon is known to be a Springsteen fan too. I talked to some cast and crew members after the show and they confirmed that. The Nebraska album is a mournful record of life in the late 1970s. Except for a few songs like “Atlantic City” and “Open All Night,” the album is basically a series of stories about downtrodden, lonely characters. Springsteen recorded it in his bedroom on a tape recorder, intending it to be a demo to be released with a full E Street Band treatment. But his manager convinced him to release it as his first acoustic album. Its initial reception was lukewarm but in the years since, it has been acknowledged as one of his finest albums. Chicago’s Tympanic Theatre Company produced Deliver Us From Nowhere last year, a series of 10 short plays based on the 10 songs on Nebraska. It was an interesting attempt but less than successful theatrically. You can read my review of Homecoming 1972 here. I strongly recommend it. The Gift Theatre performs in a tiny storefront on the northwest side. It’s a theater that I’ve been meaning to go to, since its work always gets outstanding reviews. I finally did that this week and reviewed a play called Mine that combines contemporary fears about parenting with reversion to medieval folklore. It’s a very intense and haunting play, made more intense by the small performance space. I often think when i see a play like this in a tiny space how much different it would seem if performed on a proscenium stage with a great deal of distance between players and viewers. Read my review and try to see Mine — you have about six weeks to get there. Thanks for the suggestions. I will try to see Mine.